Dr. Surya Rao Kutikuppala did MBBS (Andhra Medical College) MD (Family Med) PGIM University of Colombo, PhD (AIDS& Ethics) Andhra University, MNAMS (National Academy of Medical Sciences, New Delhi ,Fellow in HIV Medicine ,Dept. of Medicine(CMC Vellore), Fellow HIV Medicine ,Harvard University Boston, Fellow on AIDS Canberra University Australia, Fellow on HIV AIDS Calgary University Canada. He was W.H.O (Geneva) Collaborator on AIDS series – 5, Visiting professor( Faculty of HIV Medicine IIMS affiliated to Arizona University USA. Dr Rao is a Gunnies World Record holder in HIV prevention research work for achieving the largest awareness Red Ribbon. 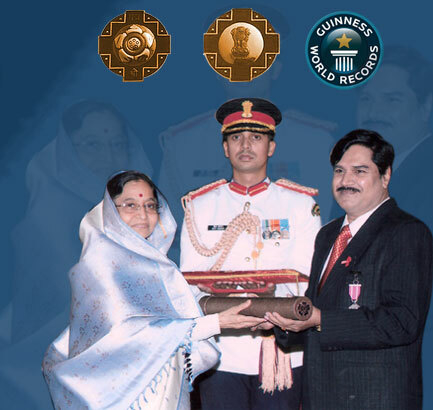 His research contribution in the field of medicine and medical service to the people at large were adjudged by Government of India as a distinction in medical and health services and Her Excellency the President of India awarded Padma Sri, the prestigious civilian award in India to Dr. Surya Rao in 2008. Copy Rights © 2013, All Rights Reserved.